Here is the StormWerkz Stock Folding Mechanism /Hinge for your special projects. 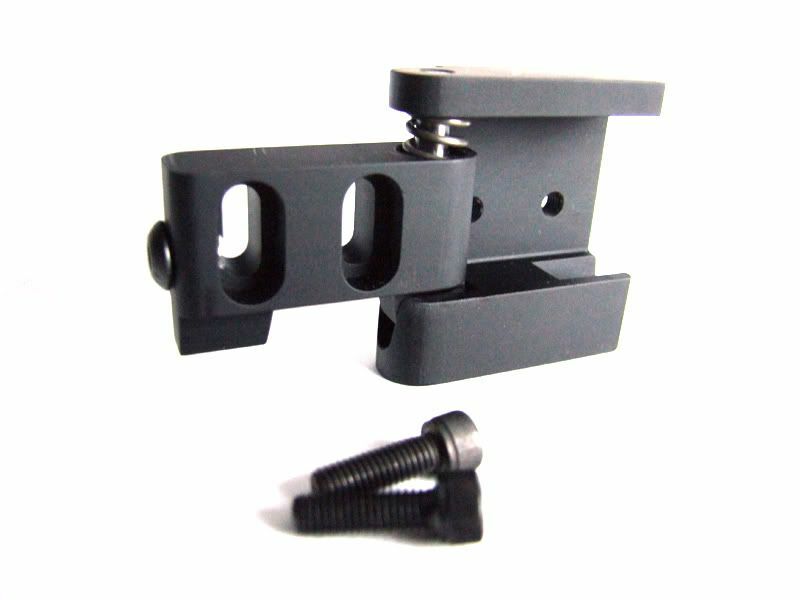 Use it with stock and receiver adapters from StormWerkz mfg. and ACE mfg. Now you can put a folding stock on your Vz-58, Daewoo, FNC, Ar-180, AK, and many more. Tapped for Uncle Mikes swivel stud. Locks in both positions - No accidental swing-out. Manufactured by StormWerkz right here in the USA !